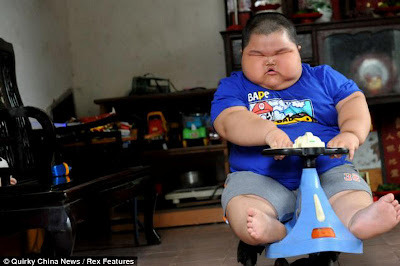 His name is Lu Hao, He is the son of the couple Mr Lu Yuncheng and Mrs Lu Yuncheng. Now, Lu Hao was three years old, and he already had an achievement (I do not know, whether it is worth mentioning as an achievement). 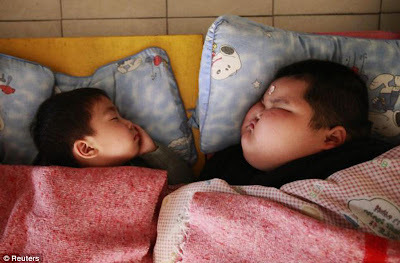 An achievement as the world's fattest boy. 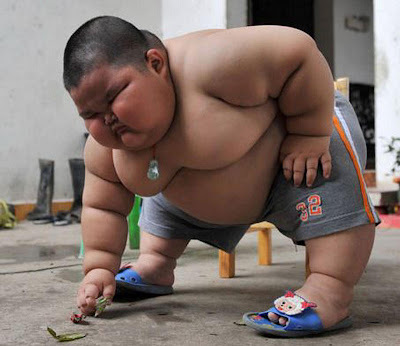 At the age of three, Lu Hao's body weight had reached 132 lbs or about 60 kg. 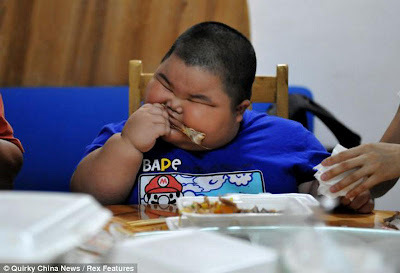 In fact, Lu hao born with normal weight, its about 2,6 kg (normal weight for newborns). 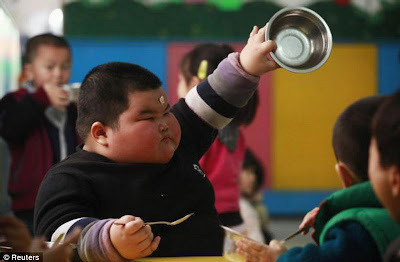 But at the age of three months, his weight began uncontrollably, his appetite is so extreme, Lu Hao could spend three rice dishes in one meal. it is even larger than the portion for adults.